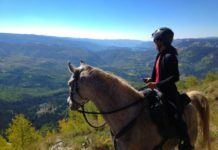 Are you experiencing problems with a horse that is over reaching and pulling a boot off? Are gaiters getting torn even though they are a perfect fit? Or do you have issues with the hook and loop collecting debris or not staying secure? This trick will work for you! Applying bell boots over your boots is a simple task that I have used to save my boots. 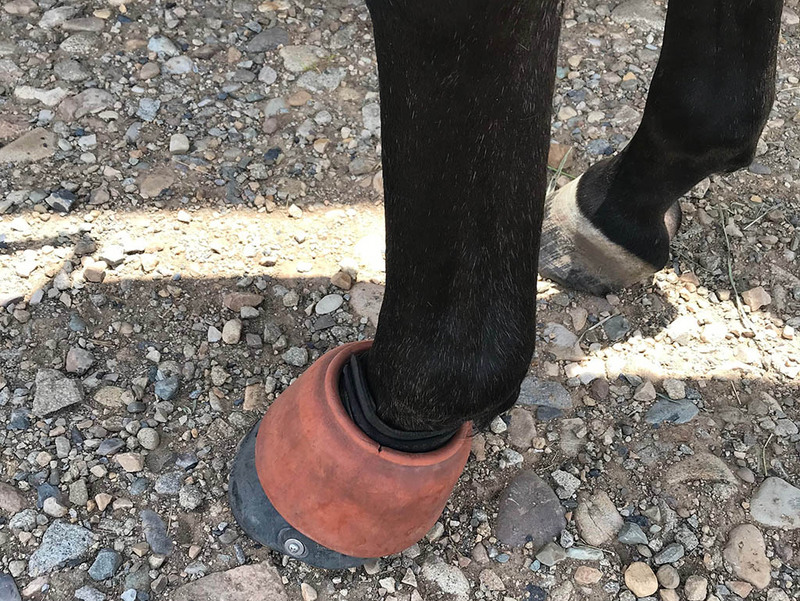 This also works well for young horses that just aren’t quite sure where their feet are yet and tend to step on themselves. There are a wide range of bell boots on the market so I would suggest just trying what you have on hand before going out and buying something. In my experience the rubber pull-on bell boots work the best. I have used this style for years so I have accumulated a range of sizes. 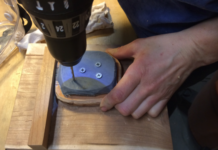 The bell boot will need to be oversized to get a good fit over the top of the boot. 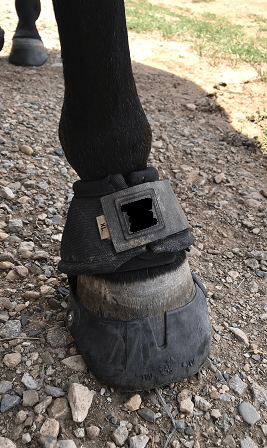 Put the pull-on bell boot over the hoof before applying the hoof boot. 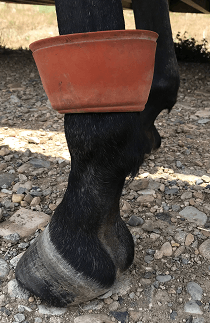 Once it is over the hoof, pull it over the pastern to keep it out of the way while applying your boots. 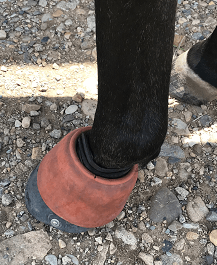 If you can pull the bell boot on with the hoof boot already on it is too big. 2. Apply the hoof boot and secure the gaiter. 3. Flip the bell boot down over the boot and you are ready to ride. 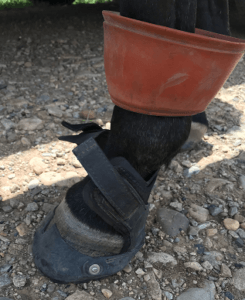 Any bell boot style with a hook and loop attachment can be applied after the boot is on, but in my experience, a no turn bell boot (see photo below) is not long enough to protect the junction of the base of the boot and the gaiter. It only protects the hook and loop on the gaiter. I haven’t been able to achieve the same results with this style bell boot as with the pull-on bell boot, but you may want to give it a try. 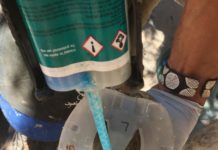 This no turn bell boot is not long enough to protect the junction of the base of the boot and the gaiter.